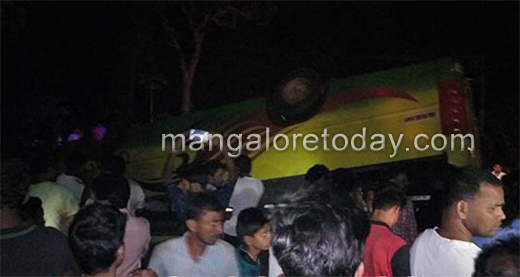 Belthangady, Mar 01, 2017: 10 persons were injured after a bus they were travelling topples at Kuthrottu in Belthangady on March 01, Wednesday late in the evening. The identity of the injured are not yet ascertained. Belthangady police are investigating the case. Speed and Negligence may be the reason for the accident .